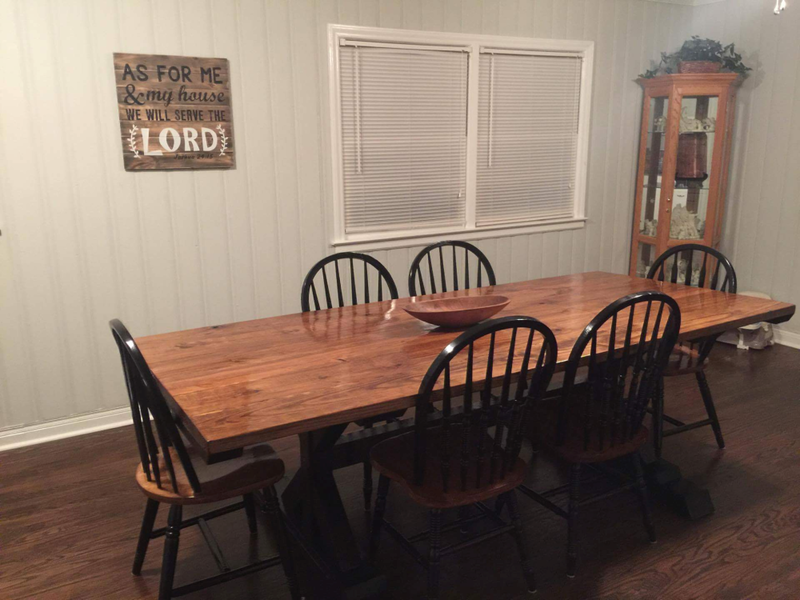 We are a husband and wife team that specialize in creating rustic and outdoor pieces to fit every household. Bryan is certified in carpentry and can build almost anything that is asked of him. He enjoys working out challenges that come with custom work. Catherine enjoys building new pieces in her spare time, creating things out of what's left laying around. Together, they create things that are unique and one-of-a-kind, and a piece of their heart goes into each creation. We have designed pieces across a wide range of subjects and styles and media: from traditional home furniture to custom installation pieces, specific pieces from client instruction to completely original pieces, and each require different tools and a lot of love. We've had the pleasure of shipping nationally, as well as internationally, and look forward to starting your project. Please contact us to commission a piece, arrange a time for consultation or just for more information.